Smoky Mountains What To Do Online Guide includes pages of information on things to do throughout the Tennessee Smoky Mountain area. Our Smoky Mountains What to Do online guide is great for planning family vacations, family reunions, group getaways, church retreats, weddings, and honeymoons. Millions of visitors come to the Smokies annually looking for adventure in the South's biggest playground. Activities for both children and adults abound throughout Gatlinburg, Pigeon Forge, Sevierville, Sevier County, Townsend, Wears Valley and the Great Smoky Mountains National Park. Whatever you chose to do on your vacation, our Smoky Mountain What to Do online guide is the first stop on your trip to remember. The Smoky Mountains area offers a wide assortment of Smoky Mountain Attractions in Pigeon Forge and Gatlinburg including Speed Parks, Water Parks, Amusement Parks, and much more. Regardless of which ones you choose, you and your family will experience fun and excitement at any Smoky Mountain Attraction. Does a dinner and show in one ticket seem like the perfect way to spend an evening? Pigeon Forge Dinner Shows provide a great way to enjoy both live entertainment and a delicious meal at the same time. Offering finger-licken' good Southern food, bluegrass, horse tricks, dance numbers, comedy, and more, there's no reason why one of these shows shouldn't make it on your itinerary. Truly enjoy the splendor of the Great Smoky Mountains by stepping outside and under the great blue skies that nature offers. Whether looking to do ATV Tours, Fishing, Hiking, Horseback Riding, Scenic Flights, Whitewater Rafting or another outdoor activity, we are sure you will find many Smoky Mountains Outdoor Adventures to suit your familiy's lifestyle. Live life to the fullest; let out your adventurous side! Nothing can compare to Pigeon Forge Shopping. This region of the Smoky Mountains offers many locations with great stores to chose from. Pigeon Forge Outlet Malls have become an essential in preparation for Christmas. Where else can you come, vacation, and buy lovely presents for friends and family? 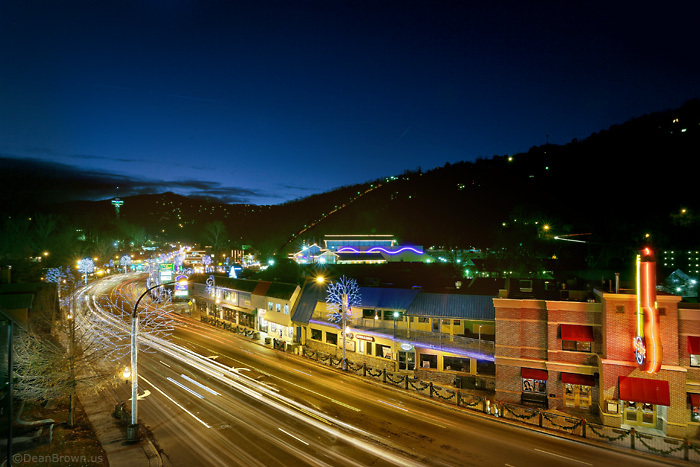 Shop until you drop in the Smoky Mountains finest shopping centers! Comedy Shows, Magic Shows, Horse Shows, and Music Shows are just a few examples of Smoky Mountains Theater Shows offered throughout Pigeon Forge, Gatlinburg, and Sevierville. Whether you experience side-splitting laughter at a comedy show or toe-tapping family fun at a music show, an evening spent entertained by superb performers is perfect for the whole group. If you do not find the information you're looking for here, please let your Pigeon Forge cabin rental receptionist know. We will be glad to assist you in any manner we can and we would appreciate any suggestions additional online guide information that should be added. Cabins USA looks forward to your safe arrival at one of our cabin rentals in the near future.